Civil engineering is a varied profession vital to the design, construction and maintenance of all building projects; of the world’s buildings, roads, tunnels, bridges, dams, transport infrastructures and power stations - we could go on. In fact, you've probably seen for yourself the rate of building progress that's happening in Sheffield at the moment - just look at the ever changing skyline and you'll see the work of civil engineers at play. Our civil engineering study programmes have a strong emphasis on sustainable construction and Computer Aided Design (CAD). You will learn how to use digital levels, total stations and electric distance machines to give you a solid understanding of the subject, whilst learning the latest, sustainable construction methods. Our tutors have strong links with employers in the region. There are currently a number of major construction and regeneration projects taking place in Sheffield, and these links have allowed students to gain vital experience through site visits to the developing Chinatown and the Heart of the City II. 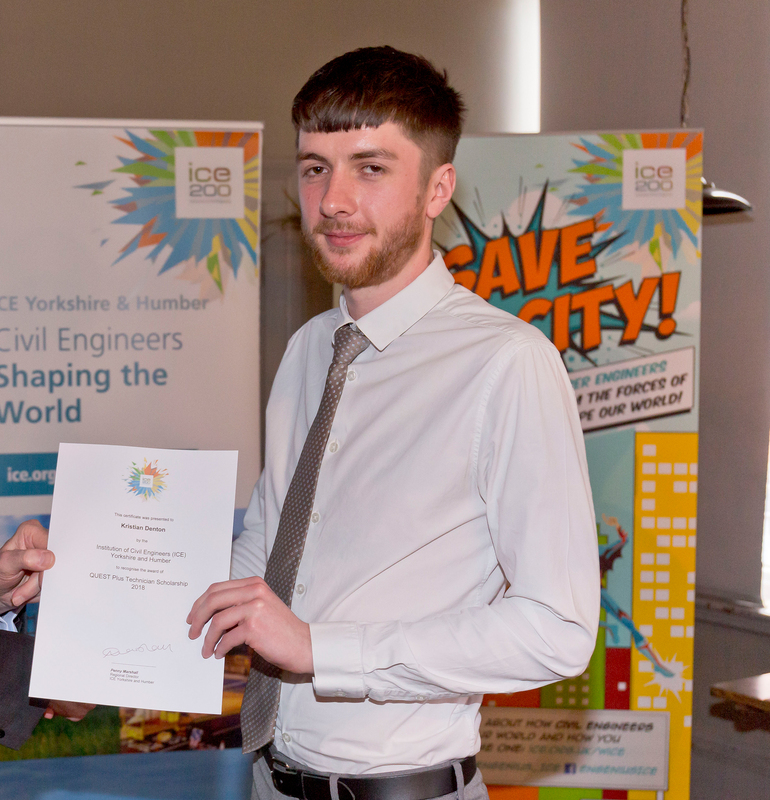 Sheffield is an exciting place to study civil engineering with many students continuing their study with us to university level. All of our civil engineering tutors are passionate about the subject they teach. Many of them have worked in the industry prior to becoming tutors, so not only do they have invaluable experience and expertise in the sector that they can pass on to you, but they also have links and connections to industry employers - something that you can take advantage of when it comes to gaining work experience. We also make sure that our teaching staff keep up to date with the latest techniques and regulations, so what you're learning in the classroom will translate to the workplace when you come to get a job. All of our civil engineering study programmes are based at City Campus, where you will learn in dedicated subject-specific classrooms. You will also learn to use key tools that form the backbone of civil engineering, such as computer aided design (CAD) software, digital levels, total stations and electric distance machines.This will ensure that you're confident and prepared for when you come to use these tools on the job. With construction projects in the UK on the rise, the employment opportunities within the civil engineering sector are also increasing. 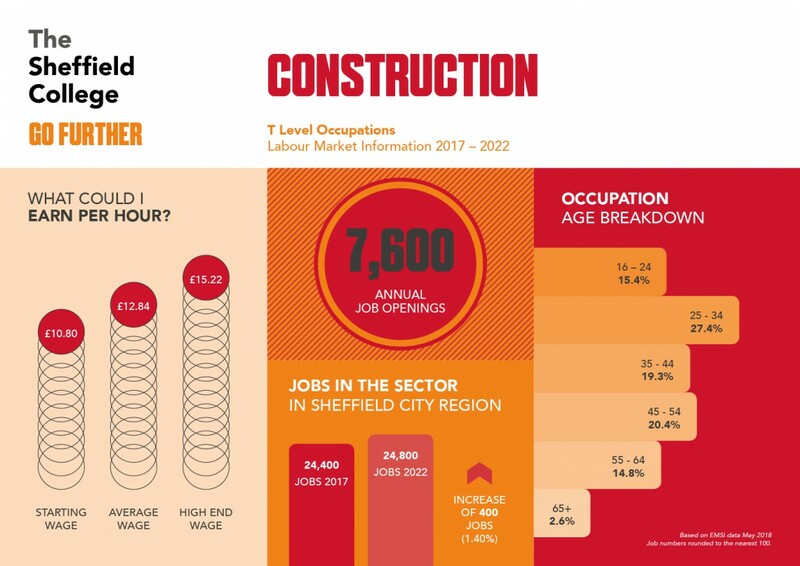 There are set to be almost 25,000 jobs available in the local Sheffield City Region by 2022, with over 7.5K vacancies coming up each year! The average wage for those working in the civil engineering industry is over £35,000 a year, so it can be a really rewarding career if you're willing to put in the work. If you want to find more information about employment opportunities, earning potential and even live job vacancies, you can use our online career portal, Career Coach. "I learnt a number of key skills during my five years studying at Sheffield College. Aside from the fundamental principles of civil engineering, I also gained confidence in presenting, report writing and inter-personal skills."